The brewing Civil War on the left over environmental issues took a divisive turn this week, with House Democrat leadership dealing Alexandria Ocasio-Cortez a major blow by denying her request for a “Green New Deal” committee. Ocasio-Cortez had gone into a full-court press to push Nancy Pelosi and the establishment leadership to give her control over the party’s environmental agenda. She first joined far-left protesters who took over Nancy Pelosi’s office, demanding action on a green agenda. Then, Ocasio-Cortez released her list of demands, a “Green New Deal” that read like a laundry list of socialist policy wishes. 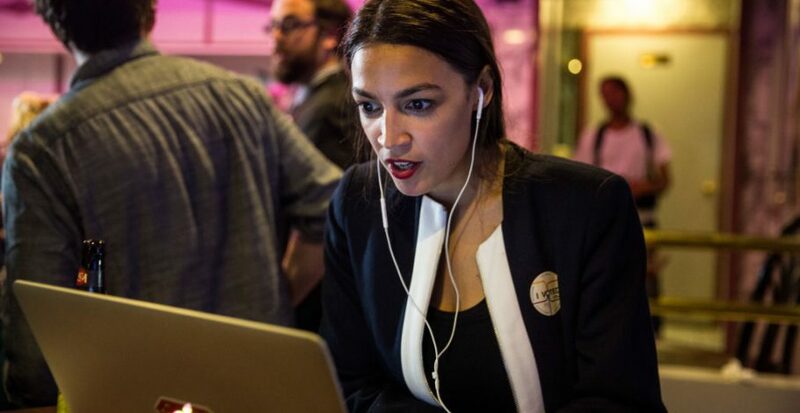 But now, the Huffington Post is reporting that establishment leadership was not swayed by Ocasio-Cortez’s antics and have denied her effort to set up a “select committee” on the “Green New Deal.” This development reportedly came “as a surprise” to the environmentalists. Their failure is now being called “a stunning upset” and a personal “loss” for Alexandria Ocasio-Cortez. Will Alexandria Ocasio-Cortez accept defeat and move on? Doubtful. If anything, she will likely try to make her “Green New Deal” even more of a wedge and thorn in the side of the Democratic party leadership. Perhaps releasing a list of demands and storming your leader’s office is not the best way to achieve your policy goals. But it does seem to be effectively dividing the left, and it doesn’t look like that’s changing anytime soon.